Champion Industries, a North Carolina-based warewashing equipment manufacturer and sister company to ACP, Inc., announced they will have a new director of product development, Allen Hasken. Click here for more details. Arby’s Restaurant Group, an operation that uses ACP, Inc. products, announced the revamping of their restaurant design in honor of their upcoming 50th anniversary. The remodeling plan includes new interior colors, modernized materials, such as stainless steel, will be incorporated as well. For more information, click here. The National Restaurant Association has opened up their Conserve website again, which promotes sustainability habits and educates members of the food industry about ways to stay green through case studies, videos, and more. Click here for more details. Middleby announced this month that Tarek Sarkis will now be responsible for commercial cooking and beverage equipment under the Middleby brand, as well as Viking residential appliances in Russia, CIS, the Baltic States, Eastern Europe and areas of Central Europe. Click here for more information. Agriculture Secretary (and former Iowa governor!) 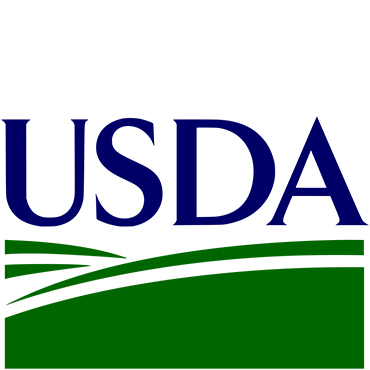 Tom Vilsak announced earlier this month that the USDA will be distributing $25 million in grants to various schools across the country. The grants will be used for purchasing the necessary kitchen equipment and tools to provide healthier and more nutritious meals for children. The new Menumaster® Steamer Oven (MSO), for example, is perfect for preparing full size pans of nutritious foods in schools and cafeterias. Click here to learn more about the USDA’s plan. McDonald’s Corporation, also an operation that uses ACP, Inc. products, is planning to expand to the Europe and Asia/Pacific, Middle East and Africa (APMEA) regions by 2016 through the addition of 1,500 locations. Click here for more details. 10 International Successful Concepts that are Successful in the U.S. There are several international restaurants finding success in the United States, such as Giraffa’s, which is known for creating dishes with a Brazilian-American flare. Giraffa’s is considered a quick service restaurant in Brazil, but after expanding to the United States in 2011, it maintained a fast-casual service approach. Click here to learn about other internationally based operations. Everyone’s been there – that relieving moment when you take the last bite from what was originally a mountain of food that appeared to be ten times the actual capacity of your stomach. The plate is finally cleared and you managed to avoid all mockery. But then, the bubbly waitress returns and politely asks, with a smile on her face, “Does anyone have room for dessert?” You begin to wonder how you could possibly fit another ounce of food in your stomach, but something sweet sounds so, so good. But, dessert doesn’t have to be in the danger zone anymore. Miniature, bite-size desserts are all the rage within several restaurant classifications in today’s food industry. According to a 2012 Technomic study, 52% of dessert seekers will select an option if it is able to be shared, hoping to reduce sugar and caloric intake with a smaller portion size. This is where the miniature dessert comes into play; not only do these tiny treats accommodate for such a dietary preference, but they are also a great way to have a little something sweet without having to completely indulge. Olive Garden offers their own form of bite-size sweetness with their Piccoli Dolci platter, which translates to, “little dessert treats,” and consists of different layers of cake, pastry creams, mousse and toppings. Other popular tiny treats include mini cheesecakes, mini cupcakes, bite-size brownies, the list goes on and on. The MXP can make sure any kitchen is capable of keeping up with this trend while providing consistent results. Below is a recipe for miniature cheesecakes using the MXP, created by ACP Corporate Chef Sandy Gibilisco and ACP Food Application Scientist Patty Reyes. 1. Mix graham crumbs, 2 Tbsp. sugar and butter; press onto bottom of 18 paper-lined muffin cups. 2. Beat cream cheese, vanilla and remaining sugar with mixer until blended. Add eggs, 1 at a time, mixing on low speed after each just until blended. Spoon over crusts. 3. Bake using below instructions. 4. Beat whipping cream with mixer on high speed until stiff peaks form; spread onto cheesecakes. Top with blueberries and zest.